One of my friends has been battling breast cancer this year. First she lost her hair, and then she lost her breasts. She commented on how the loss of both forced her to redefine (to re-find) her femininity, since what defines a woman’s sexuality–her very status as a woman–more conspicuously than her breasts and her long, flowing hair? This got me thinking about what it would be like to be forced to lose both. What would it be like to stand alone, without the buffers of either? It would be a scary and uncomfortable place, and it would be one in which I know I would be judged as not-all-there. Just as this particular friend was finishing her last session of chemotherapy, another friend revealed to me that she, too, had just been diagnosed with breast cancer. Her hair is now gone, and at some point in the future, her breasts will follow. While missing breasts can, eventually, be replaced, or at the very least concealed, there is something jarring about a woman with no hair. Something defiant and different. The rejection of femininity, however willingly embraced or uncomfortably dreaded, seems unavoidable. We are used to men with short hair, to men buzzed bald, but we never seem to grow used to women who do the same. Women who buzz their hair seem to do so with an intentional rejection of “pretty,” with a defiance of cultural and social expectations. Princesses, as Disney will tell you, always have long and flowing locks. My last boyfriend forbid me from cutting my hair. Several of my friends have revealed to me that their husbands have done the same. 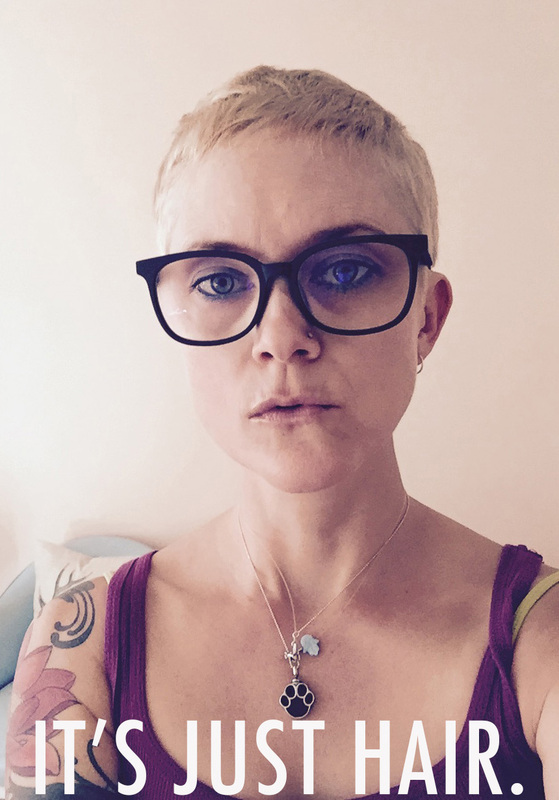 As Alice Gregory writes for the The New York Times, for women without hair, “femininity must be performed elsewhere,” and for some that is an uncomfortable premise. However, there is a certain thrill that can come from removing your hair, from acknowledging that you are not afraid to find your femininity elsewhere. Even if this removal is by choice and not medical necessity. You stand naked, your head bare. 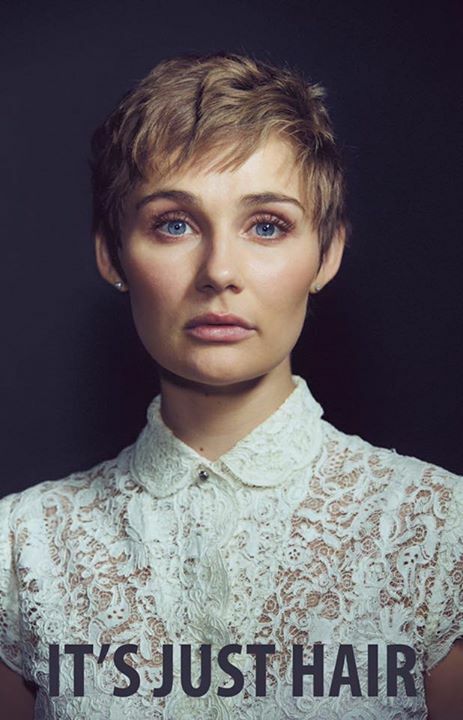 As if on cue, the beautiful (and ever-so-feminine) actress Clare Bowen just cut off her hair. She was inspired to cut her hair after hearing a story about a “little girl who said she couldn’t be a princess because she didn’t have long hair.” By sharing her story and a photo with her newly-shorn look that states “It’s Just Hair,” Bowen says that she “wanted her, and others like her to know that’s not what makes a princess, or a warrior, or a superhero. It’s not what makes you beautiful either. It’s your insides that count…even if you happen to be missing half of them.” And absolutely if what’s missing is just the hair on your head. Inspired by my brave friends, I, too, have cut my hair. I may not have had the nerve to buzz it bald, and I know there is a luxury that comes from doing it by choice rather than necessity, but the sentiment is there. It’s just hair. And I’m still a woman.